If you are not fully confident on a bike, then this could be ideal for you for when you need to get out and about to the shops or with the rest of the family. You can even see the rubber 'hairs' on the tyres to show how little use it got! Stored in a garage since. 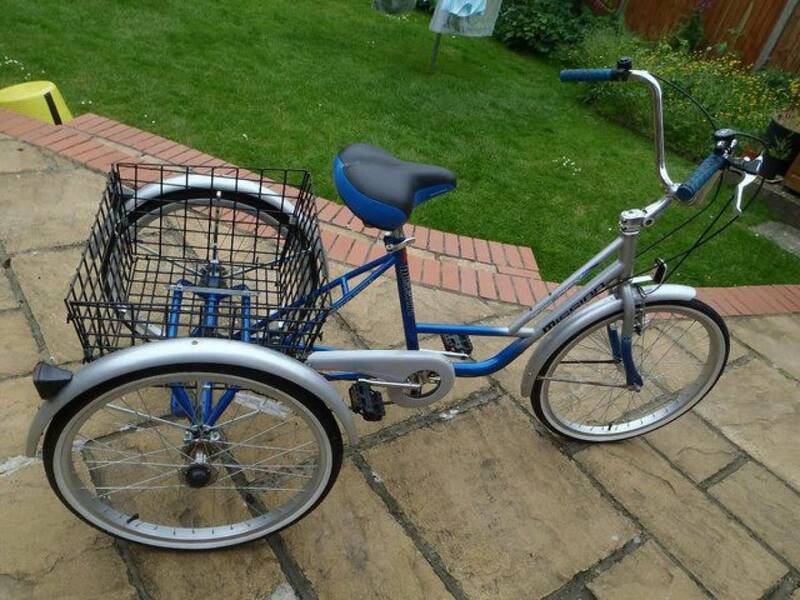 Adult trike with 24 inch wheels and tyres hardly used. and up to 16 stone in weight. Drum type brake for the rear wheels. Handle bars are adjustable for forward reach, adjustable stem to adjust the length. Large basket is fitted to the rear frame. Parking brake fitted to the front &amp; rear brake. Silver &amp; blue with silver guards.